Just back from the Yukon Territory and the work is stacked up and the kids are asking for lunch . 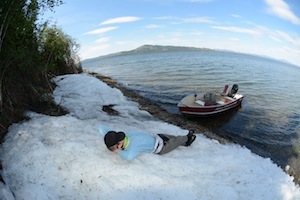 . . but before they get sustenance, I thought I would share a few images from the trip. We spent time in Whitehorse and then flew two hours over the most deserted and awesome looking landscape I’ve ever seen. No cabins. No houses. No roads. No powerlines. 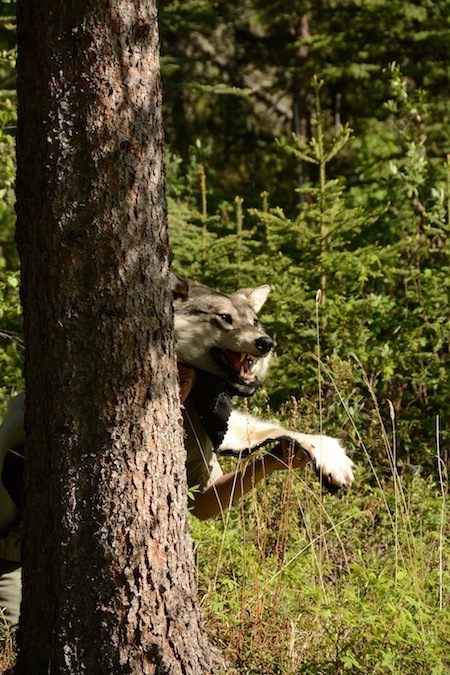 Just pure Yukon wildness. 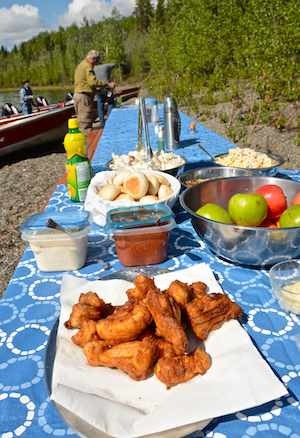 We landed on Wellesley Lake and quickly shuffled gear into a personal cabin at Kluane Wilderness Lodge. 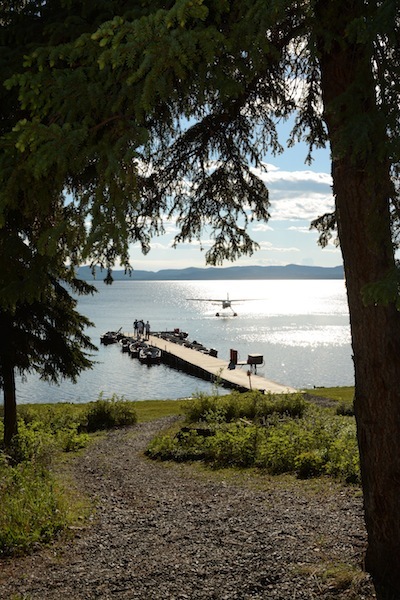 After coffee and a lunch we were assigned a 14 foot boat with a 15 horse motor and from that time, for seven days, we fished the lake at free-will, as long aswe pleased. 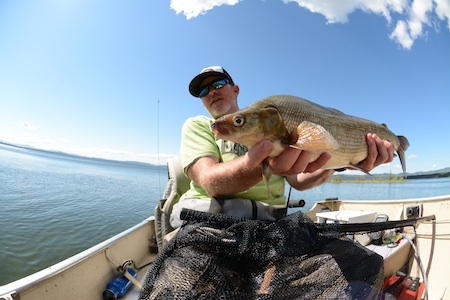 A friend, Jeff Wogoman, accompanied me and we spent at least 15 hours a day on the water, casting to lake trout in the shallows, along with lake whitefish that ranged to five or six pounds and crushed scuds, Prince nymphs and chironomids. 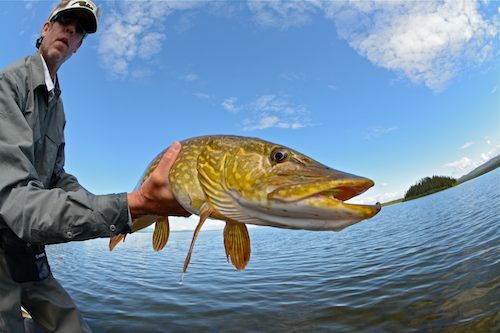 We toiled through all the bays and caught scads of pike, up to 40 a day, on floating lines and poppers or streamers that ran just under the surface. 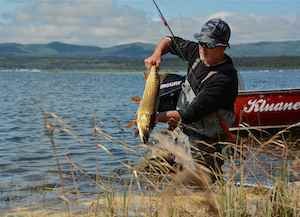 A couple times we hit the mid-lake area with fast-sinking lines and weighted flies, but the trolling was too much for Wogoman—we never tied into one of the lake’s biggest trout, meaning fish to 40 or 50 pounds. But the conventional gear guys in camp did, and they were able to bring lots of 20 to 40-pounders to the surface. There will a more detailed description of this trip in a few days, but this is an introduction to the Yukon, through images. Hope you enjoy. The local wildlife . . . sort of. Mega-whitie meets fresh Yukon air. View from Kluane Lake Lodge. Wogoman with one of the pike he destroyed at Wellesley. Sometimes they came one cast after the other and they ranged to 40 inches. We enjoyed two shore lunches during our visit. Pike and lake trout, freshly caught and fried in a giant cast iron skillet. Good eats. One of dozens that first day. 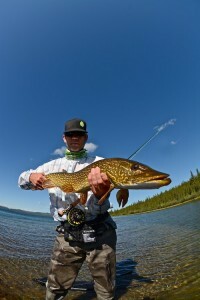 This entry was posted in Backcountry, CANADA, Travel, US & Canada and tagged fly fishing for lake trout, fly fishing for northern pike, fly fishing Whithorse Yukon, flyfishing the Yukon, Kluane Wilderness Lodge. Bookmark the permalink.